For seven years the Sanofi Espoir Foundation has partnered the LCDMF in its fight against sickle cell anemia in Madagascar, through a program of prevention, information, and education concerning the daily care of sickle cell disease in Madagascar. Sickle cell anemia affects nearly 120 million people worldwide. Yet few of them are aware of its existence or even know they have it. This genetic blood disease is widespread on the African continent and also in Madagascar where one out of every ten people is affected, and nearly one out of five in the South East and East of the island. The project carried out by the LCDM association in partnership with the Sanofi Espoir Foundation is primarily focused on outreach in towns and villages in ten regions covered by the national program against sickle cell disease. Education and awareness about the prevention of risk factors of vaso-occlusive crises (VOC) in sickle cell disease, especially among children under five. Educating people about simple hygiene, nutrition and care actions to help treat sickle cell disease. Training healthcare professionals and paramedics to treat sickle cell disease more effectively from an early age at the onset of first sickle cell crises. Raising the awareness of partners and local NGOs about access to water, and front line therapy for the treatment of sickle cell disease. 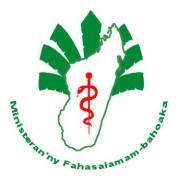 In order to better satisfy you, the Ministry of Public Health invites you to add comments as well as publications. Founded in 1962 by Pierre Fabre (1926-2013), the company is present in over 130 countries. Laboratories Pierre Fabre had approximately 10,000 employees in 2012, 33% of whom are internationally based, while the remaining 6,700 employees were based it France. The company's business activity is focused on research, development, manufacturing and marketing of cosmetics, prescription medicines and family health products. Pharmaceuticals and phytotherapy represent 47% of turnover, whereas cosmetics represent 53% (percentages of 2012 turnover). The Pierre Fabre group has a unique shareholding structure that guarantees its continuity and independence, while perpetuating the humanist values of its founder. The majority shareholder is the Pierre Fabre Foundation, which is a government-recognized public-interest organization. It has also developed its employee stock ownership plan, and employees thus form the second-largest group of shareholders. This structure is unique in France and is aimed at ensuring the long-term stability of the company's capital. The Pierre Fabre Foundation is the Group’s majority shareholder. 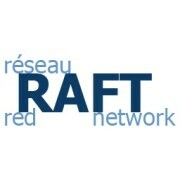 A government-recognized public-interest organization, its priority is to carry out its public interest mission, delegating the supervision of the Group’s management to Pierre Fabre Participations. 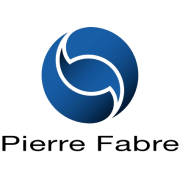 Pierre Fabre Participations validates the Group’s strategy, appoints its corporate executives and ensures that the continuity mission defined by Mr. Pierre Fabre is carried out.